For residents in Madhya Pradesh's Shivpuri district, an Independence Day holiday was just the right excuse to visit the nearby waterfall for an afternoon picnic on Wednesday. Little did they know a harmless outing could turn so tragic, so soon. 11 people are feared dead after being swept away while bathing in the stream near the waterfall. 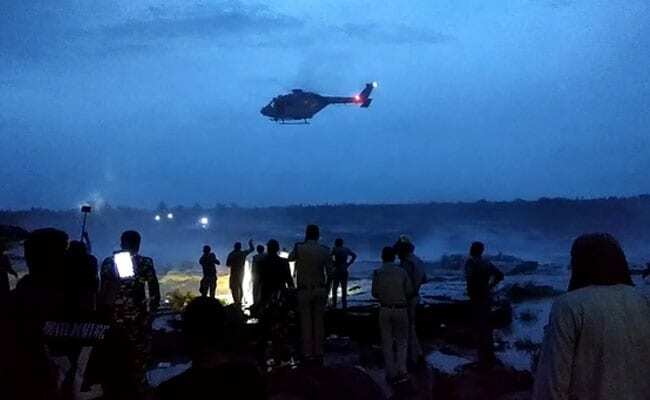 At least 34 others are still trapped on rocks downstream after a sudden increase in water levels following a heavy downpour at the Sultangarh waterfall, located in Subhashpura area bordering Gwalior district. On camera, people can be seen stranded on rocks, in the middle of the water stream, in heavy current. Suddenly, a few of them get washed away. There was a sudden surge in water around 4.30 PM, possibly due to heavy rain upstream, catching those bathing near the waterfall unawares, police said. Operations are underway to rescue those stranded with teams of the Navy, Border Security Force, State Disaster Response Force on the job. A helicopter has also been pressed into service to help with the rescue ops. Seven people have been rescued so far. Chief Minister Shivraj Singh Chouhan, who is overseeing the rescue efforts, spoke to Home Minister Rajnath Singh and Defence Minister Nirmala Sitharaman to seek help.